Swap Meet is an aperiodic celebration of the cultural commons organized by The Royal Academy of Nuts + Bolts and Superbunker. 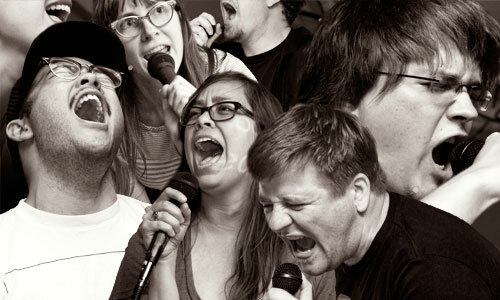 We have enthusiastically amateur karaoke, the distant memory of IRL music exchange*, and an overall Betalevel open house with snacks and drinks for all. *If you don’t know what we’re talking about, don’t worry about it. Just come sing.